Mutation is often said to be random. Although it must be true that mutation is ignorant about the adaptive needs of the organism and thus is random relative to them as a rule, mutation is not truly random in other respects. Nucleotide substitutions, deletions, insertions, inversions, duplications and other types of mutation occur at different rates and are effected by different mechanisms. Moreover the rates of different mutations vary from organism to organism. Differences in mutational biases, along with natural selection, could impact gene and genome evolution in important ways. For instance, several recent studies have suggested that differences in insertion/deletion biases lead to profound differences in the rate of DNA loss in animals and that this difference per se can lead to significant changes in genome size. In particular, Drosophila melanogaster appears to have a very high rate of deletions and the correspondingly high rate of DNA loss and a very compact genome. To assess the validity of these studies we must first assess the validity of the measurements of indel biases themselves. Here I demonstrate the robustness of indel bias measurements in Drosophila, by comparing indel patterns in different types of nonfunctional sequences. 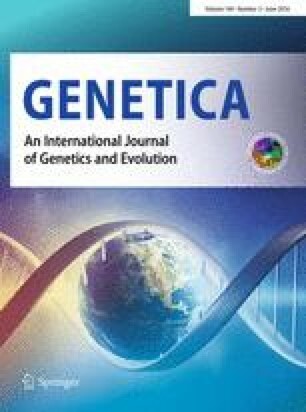 The indel pattern and the high rate of DNA loss appears to be shared by all known nonfunctional sequences, both euchromatic and heterochromatic, transposable and non-transposable, repetitive and unique. Unfortunately all available nonfunctional sequences are untranscribed and thus effects of transcription on indel bias cannot be assessed. I also discuss in detail why it is unlikely that natural selection for or against DNA loss significantly affects current estimates of indel biases.